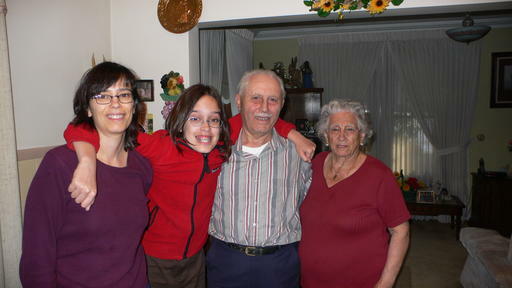 It was my dad’s 82nd birthday last weekend, so we headed down to Thorold for a visit. 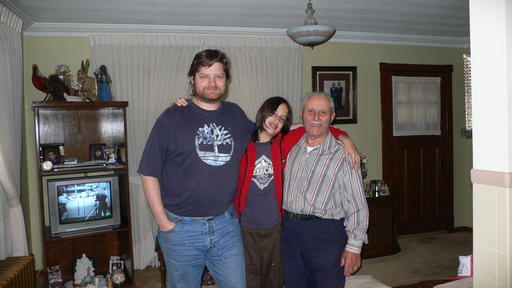 I don’t think my dad really cares about his birthday, but it’s a good excuse for a visit. Weâ€™re all happy the weather has gotten warm, and he can spend his time outside. Heâ€™s such an outdoors man! Michael has received offers to attend all 3 universities he applied to. He heard from Queens first, months ago. He even got a $1,500 scholarship! He was quite happy as Queens was his 2nd choice. 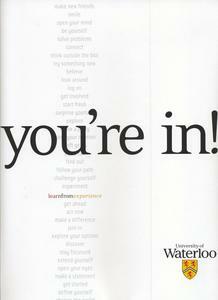 A few weeks ago, he received an email that he was accepted from Waterloo. A few days later, a phone call where they said they hoped he would consider attending their university. Finally, we got the offer of admission in a way cool package. It screams “You’re In!” How exciting to see that in the mail! Too bad, though, it wasn’t Michael’s top choice. He got a $1,000 scholarship from them. Next day, he got a lovely hand-written note from Queens â€“ “Oh, please come”!! And of course, last, like I expected it would be, was the admission for University of Toronto, where he was hoping to go. No scholarship. No phone call. No hand written note. Of course not, arrogant buggers. I hate arrogance, yetâ€¦ I love UofT. I loved the scale of it (huge! ), I loved huge amount of choices for classes, I loved the feel, I loved the buildings. Well, most of them. His grandfather went there, his father, mother and step-father went there. Lots of the people his parents hang out with went there (and some are still there). You might think I convinced him to go, but I didnâ€™t. I mentioned a few pros and cons, and he made up his mind that it was the place for him. I think heâ€™ll really enjoy downtown life. He wants to get into residence at UC. I got accepted at my home town university, Brock. I got a $500 scholarship from them, which I never told my father about! I got accepted at McMaster, and got a nice phone call, too. But of course, nothing but an offer from UofT. I’m very excited for him. He’s entering computer science, but he’s been thinking of English, and History. He’s going to see how things go. Woo hoo! What a great weekend we had. Fantastic weather. Summer must be here, even unofficially, if I’ve put the sky chair up! 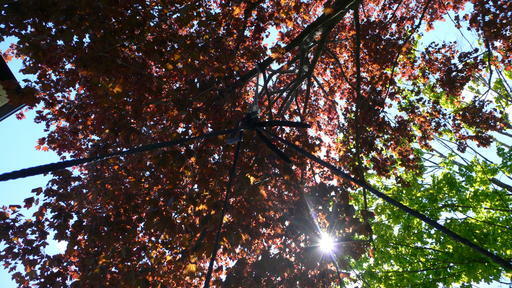 Here’s the view looking up, while sitting in the chair.